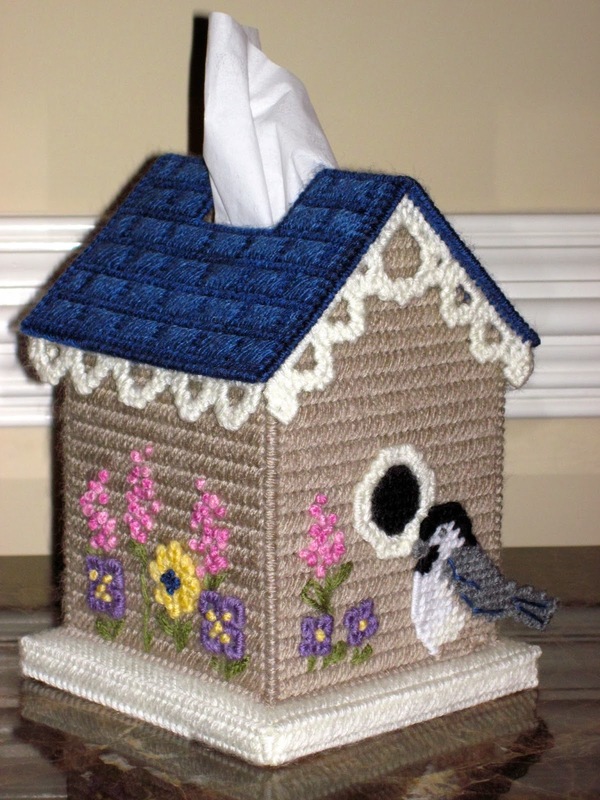 I finished the canvas birdhouse tissue box cover. Most of it was done while walking on my DIY treadmill desk. I think I walked about 20 miles to complete this project. 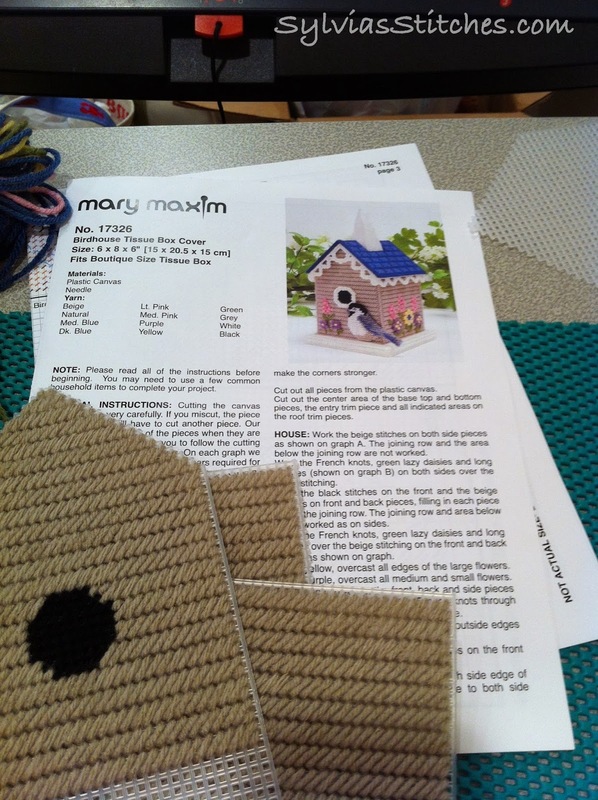 This kit came from Mary Maxim. 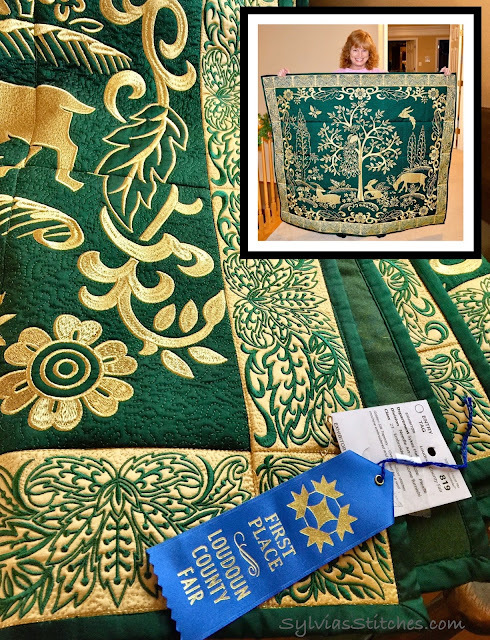 The pattern was clear and the instructions were easy to follow. I will be giving it as a birthday gift at the end of the month. 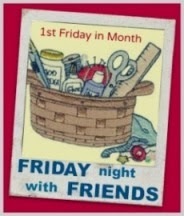 Friday Night with Friends is tonight. 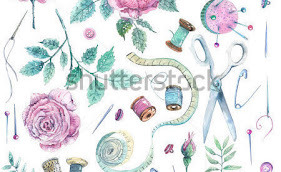 I plan on doing a little sewing tonight. Hope you can too. I am beyond impressed that you can walk on a treadmill and craft at the same time. Great job! We have a store bought snowman one but our box looks so bare the rest of the year. would love to make one of these for spring!